Here it is, Seniors, the Insider’s Guide to Cracking the New Common App 2013 (CAv4), complete with explanations (not funny ones) and tips (also not funny). This online beast is a teenage rite of passage, so congrats to you for being a Senior, and woohoo, let’s tackle that Common App. 4. Once you have added all of the colleges you like (personal plea: please apply to just 8! ), click Dashboard and you will see your colleges in all their glory listed right there. 6. Don’t start the Questions yet, but you can glance at them. Instead, click Writing Supplement and work on creating your “Master List of Writing Prompts” (that’s my survival term, coined for you) by copying/pasting each prompt for this college, AND its word or character limit, onto a word doc so you know exactly what essays you need to write, how long or short they must be, and which ones overlap and can be reused. Do not compose your essays in the Common App. You will compose and edit your essays on a word doc because you are wise. Do this for all of your schools. 7. I know you’ll want to poke around in the Common App for a while, so go ahead, but don’t spend hours right now filling in all the questions (#procrastination) because what you really need to do first is start every rough draft of every little essay you need to do—there might be 15! Filling in Common App data is easy and starting rough drafts is difficult, so do the drafts first—before homework and sports start to hit. Trust me, kid. 8. After you have created your “Master List of Prompts” and determined which essays can be recycled, and after you have started all rough drafts, THEN you can fill out the Questions section for each college or you can fill out the Common App section (tab 3 at the top). I would probably fill out the Common App, so let’s click that. 10. Submitting: When the Common App section has 6 green checkmarks, and when a college in the My Colleges section has 3 checkmarks (for Questions, Assign Recs, and Writing Supp) THEN you are ready to click “Submission – Common App” for that college. You will submit your applications one at a time, when each college is ready. 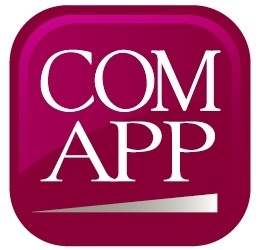 You will need to complete the 6 sections of the Common App before you can submit the first college application, but (it is my understanding) that you can go back and edit your Common App for future schools after you submit it to a college. For today, on August 1st, 2013, the Writing Supplements and specific college Questions sections aren’t up just yet, but I’m sure they will be soon. Hats off to the computer software engineers behind this colossal effort. I’m sure those guys didn’t sleep a wink last night, and if any of you kids wants to talk about a growing job field where the US really needs talent, let’s talk you majoring in Computer Science! For now, happy Common App’ing, and don’t be late to your next period class. For more detailed Common App tips and tricks check out our second post: New Common App Breakdown: Top Tips for V4 or create a free account on CollegeMapper for more personalized help. Yay, college! My daughter is having difficulty getting on the Common Application site. What can we do? Is there someone we can talk to about it? i cannot find the university that im looking to add. no matter what i do it is not showing up. i searched all over for the answer but i cannot seem to get help from anywhere. This may because the university doesn’t support common app and has their own process. I suggest going to the universities’ website and clicking apply. More than likely, it’ll tell you what to do.